On a chilly day in May, Mega Co-op showed continued support of Special Olympics WI. In a follow up to Filling The Dreams the previous weekend, we spent some time at the Track and Field Event held locally at Chippewa Falls High School. The yearly event allows almost 300 Special Olympics athletes a chance to compete in a wide variety of events, from shot put and javelin to the long and high jump, to relay races for runners, walkers, and wheel chairs. Many of the athletes went home with well-deserved awards and ribbons they earned in their respective events. The track and field meet is put on entirely by donations from different Special Olympics fundraisers, donations, and grants. 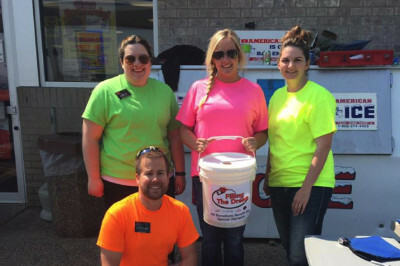 Each Spring Mega Co-op looks forward to a fun and wacky event that helps support a great local cause. 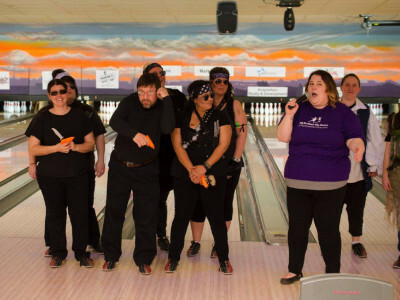 Bowl For Kids’ Sake is put on each year by Big Brothers Big Sisters of Northwestern Wisconsin along with the help of countless volunteers. The event raises approximately 40% of the annual budget for Big Brothers Big Sisters…making a BIG impact on the number of children they’re able to serve each year. There is always a fun theme to the event and this year’s ‘Hollywood- Strikes! Camera! Action!’ led to some interesting photographs! The three Mega Co-op teams participating had a lot of fun playing up the theme while raising over $1500! We even won a few of the ‘Best Costume’ awards! 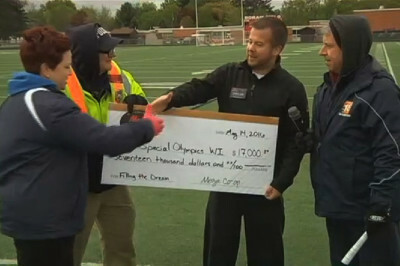 On May 7th, Mega Co-op teamed up with Special Olympics WI for our annual fundraising event Filling the Dream. With the help of Special Olympics and other volunteers we were able to turn our stores into full service stations for the day. We pumped fuel, washed windows, took donations and even served up some delicious brats! The day of the event Mega Co-op donated 5 cents to Special Olympics WI for every gallon of fuel pumped. Folks from all over the community stopped in to fill up their vehicles, lawnmowers, boats, and RVs. As a whole we were able to raise over $17,000 for Special Olympics WI. A great end to a wonderful event! We look forward to teaming up again next year!